We at Natural Sound all have a life-long personal and professional involvement in quality vinyl playback. We grew up in the Golden Era of the LP, and even before getting into the business of HiFi sales, each of us discovered the path to quality record reproduction in our own way: By listening to products, experimenting with them, reading the literature and evaluating the claims of turntable and cartridge manufacturers for ourselves. We bring this history, plus our many years of hands-on experience, to the service of our customers at the store, providing the best in high-performance audio to discerning audiophiles throughout the Greater Boston Area. We favor belt drive systems for the most part, because they better isolate the record-stylus interface from motor noise. As a practical matter, we have found that most "floppy" spring-suspended tables present users with more obstacles to listening pleasure than do low compliance mass-and-elastomer suspensions. All our turntables are "manual"... because we as listeners get additional options for convenience, and end-of-record mechanisms add complexity and reduce reliability. Plus, a stylus playing a lead-out groove for a few minutes isn't doing itself any harm! We like tonearms that are rigid, resonance-free and have zero-tolerance chatter-free bearings with negligible friction and full adjustability. We recognize the importance of optimal cartridge alignment and adjustment for low distortion and maximum groove tracking ability. We value accuracy over tonal coloration in our cartridge selection, and prefer makers with high standards of tip quality, polish and alignment, whatever the transduction method. Most importantly, we practice what we preach regarding the matching of the cartridge to turntable, keeping the characteristics of each in optimum balance with the other. When you buy from us, we unpack and set up the system with precision alignment tools to assure you will enjoy excellent sound when you play your records at home. Finally, we recognize the vast range of quality among phono preamps and offer solutions appropriate for all levels of system performance. When budget permits, we prefer to recommend low-output MC cartridges paired with suitably equipped phono stages. These products consistently deliver the most rewarding, musically satisfying listening experience, and most fully represent what vinyl has to offer the discriminating listener. With that said, we are proud to represent some of the best audio manufacturers including Pro-Ject, Rega Research, Bryston, Clearaudio, Oracle, McIntosh, and Tech Das Air Force turntables and Graham Engineering tonearms. Our cartridges come from Ortofon, Sumiko, Hana, Grado Labs, Clearaudio, Dynavector, and Audio Technica. Thoroughly modern phono playback, with built-in MM preamp, USB output, electronic speed control. Comes with aluminum arm-tube, Ortofon OM-10 cartridge, and can even be set up to play 78 RPM discs with optional Stylus 78. This belt-drive has electronic speed control, an acrylic platter, a stiff carbon-fiber tonearm, and comes with a good Ortofon 2M Red cartridge with elliptical stylus. 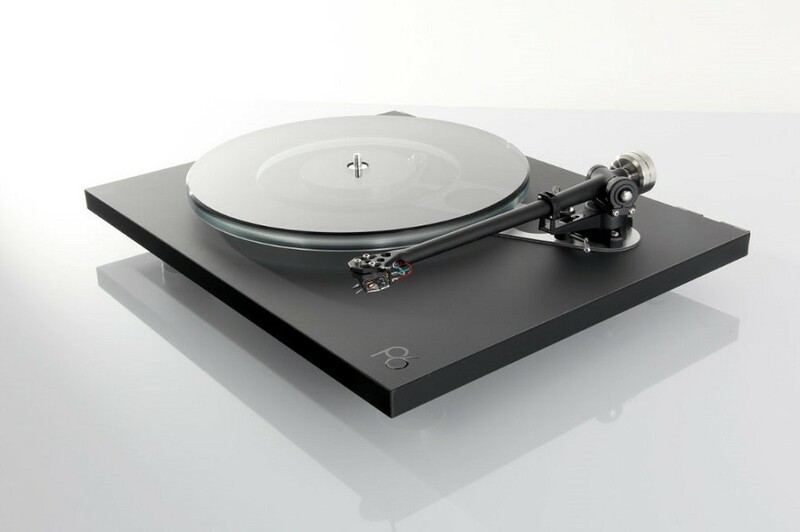 Features Rega's excellent RB-330 tonearm and 12mm float-glass platter. Can be upgraded with their TT-PSU regulated power supply. Recommended cartridges range from the Sumiko Olympia to the Hana EL or EH. Features retro-styled wood plinth, hi-tech motor-board isolation combined with sophisticated elastomer feet, upgraded CF arm, and Ortofon 2M Silver MM cartridge. New SB model adds electronic speed control, Sumiko Bluepoint No.2 high output MC cartridge, supplied record weight...$1499. Comes with tuned TT-PSU, RB-330 tonearm, double-layer flywheel glass platter, reference quality precision white drive belt, and thick felt mat. High design clear Plexiglass plinth, with magnetic suspension, upgraded carbon fiber arm, and comes with Sumiko EVO III MC cartridge in low or high output. German precision belt drive turntable with gimbal bearing tonearm delivers outstanding, solid performance across the board. Recommended optional cartridges range from Dynavector 20X (low or high output) to the Clearaudio Talisman v2 Gold. Includes hinged dustcover and "Turbo" power supply. We carry affordable quality record care products from LAST, including their Formula 3 cleaning kit, Formula 4 Stylus cleaner, Power Cleaner, LAST Preservative, and spare cleaning brushes. For light dust removal, we recommend the AudioQuest Conductive Carbon Fiber brush. For the stylus tip, our favorite is the Pro-Ject Clean-It brush used in conjunction with the LAST Stylus formula. We also offer a motorized record cleaning machine from Okki-Nokki at $500. It combines a high-torque platter motor with vacuum fluid removal. We use Nitty Gritty cleaning fluid with the Okki-Nokki. Finally, for the ultimate in record cleaning, we offer the Audio Desk Ultrasonic record cleaner from Germany. There is no better product for cleaning records on the market. If you want to learn more about the products we have in stock, feel free to visit our showroom. You can also call ahead at (508) 879-3556 or contact us here.